The thread is tied to a chain in the end. 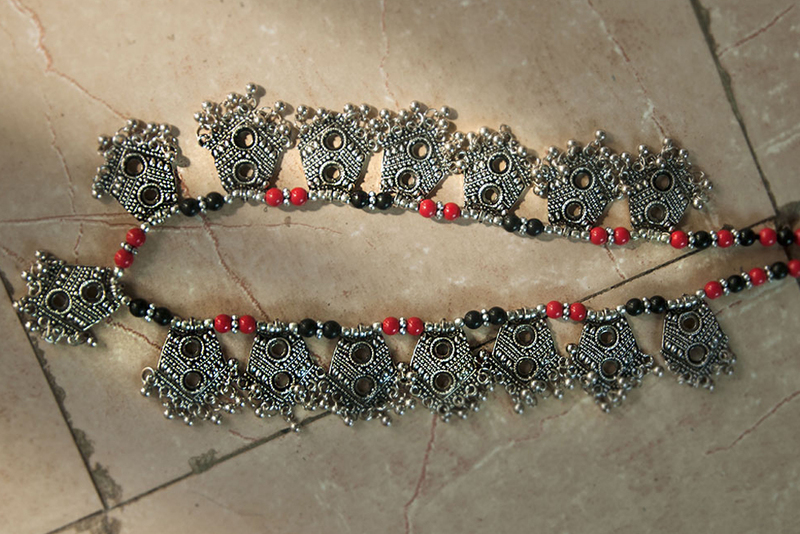 Single pieces of alloy are sieved to threads along with beads. A close look of beads getting sieved. 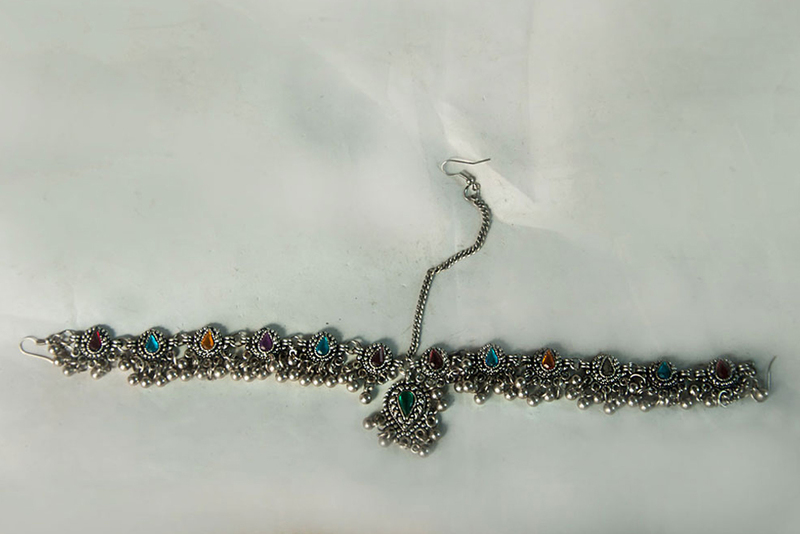 Jewelry is completed after sticking color stones. 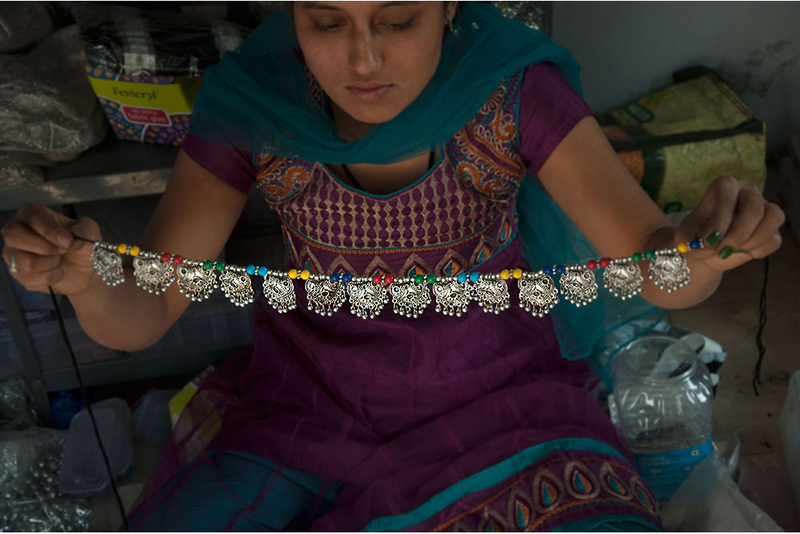 Artisan holding a beautifully done kamar bandha. 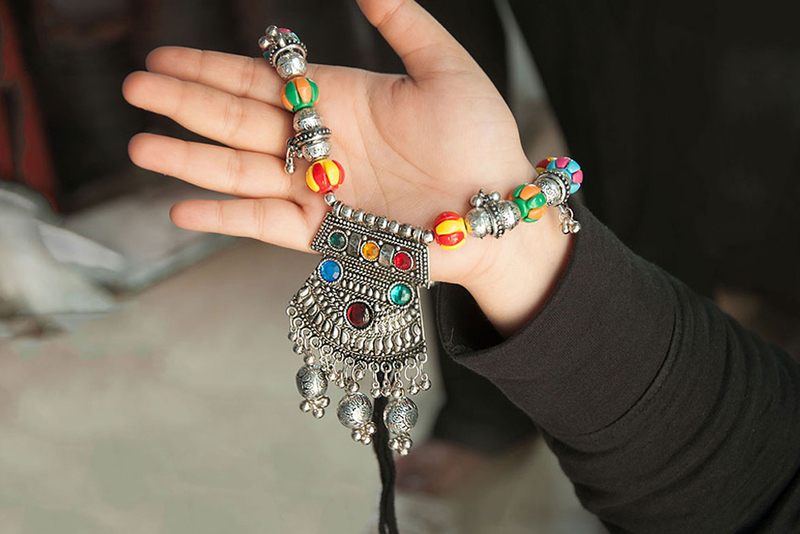 Gujarat is one of the main centers of the Indus Valley Civilization which even today in some parts purely follows the typical traditional way of wearing the jewellery and clothing. 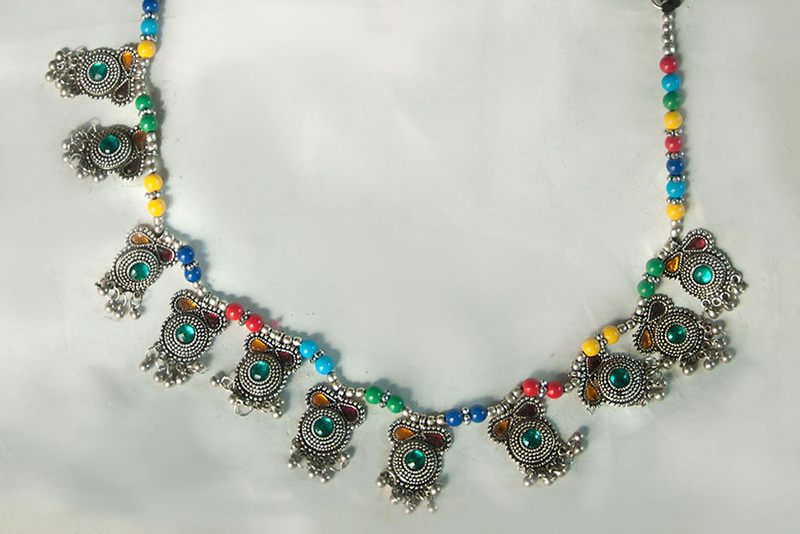 The traditional Indian jewellery motifs are usually inspired by the nature with floral patterns of different types of flowers, leaves, birds etc. 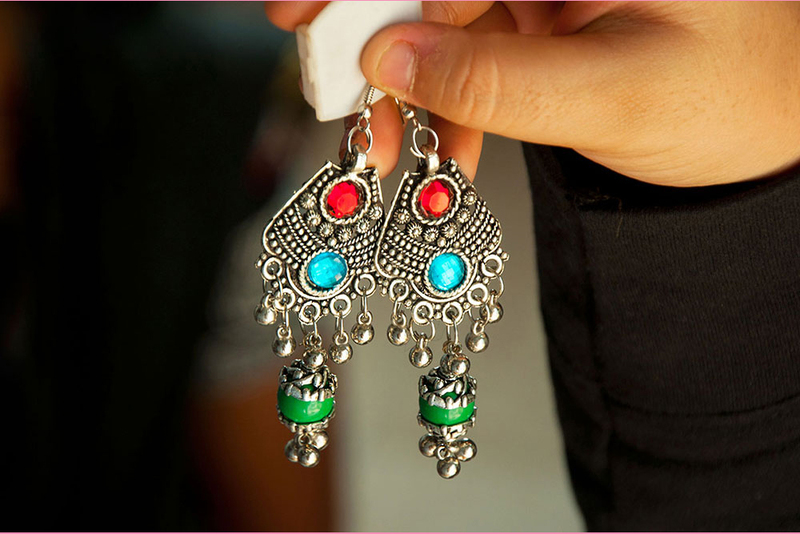 In some cases they have a fusion of the traditional designs with the contemporary ones. 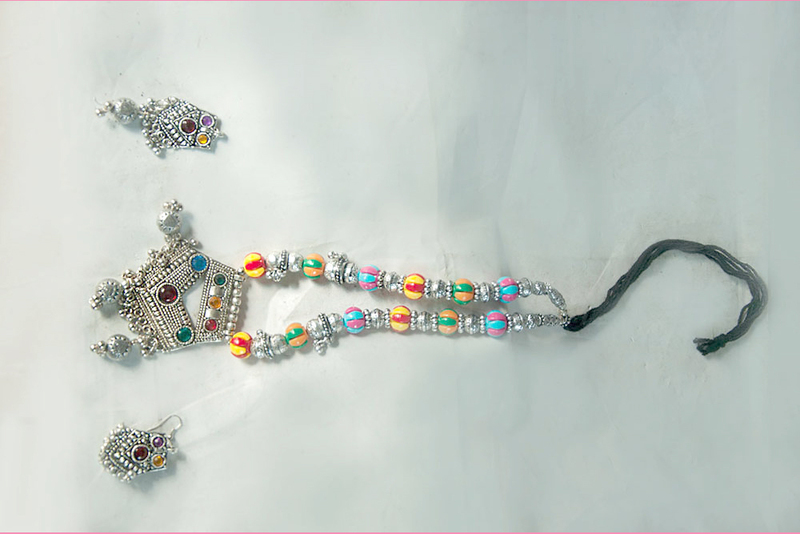 It is generally sold in lots and in kgs as it is the traditional jewellery of Gujarat. 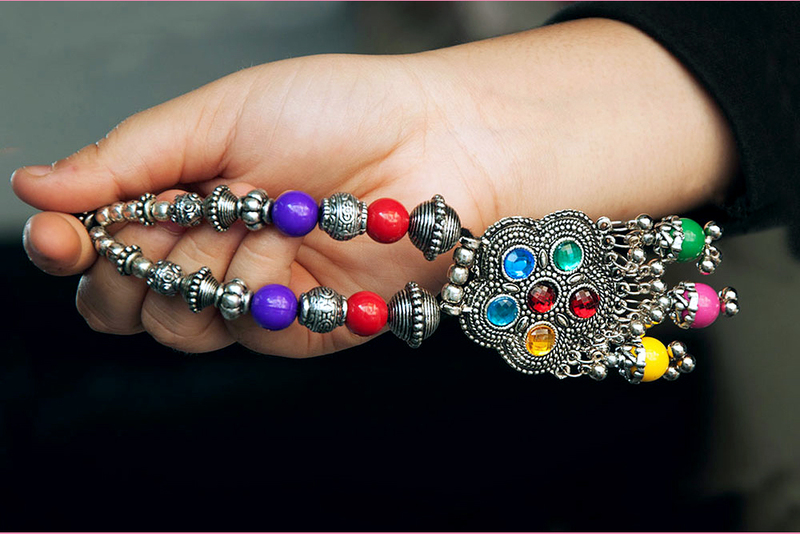 Some of the jewellery products are ear rings, necklace, bracelets, nose rings, bangles, rings and waist bands (Kamarbandha).